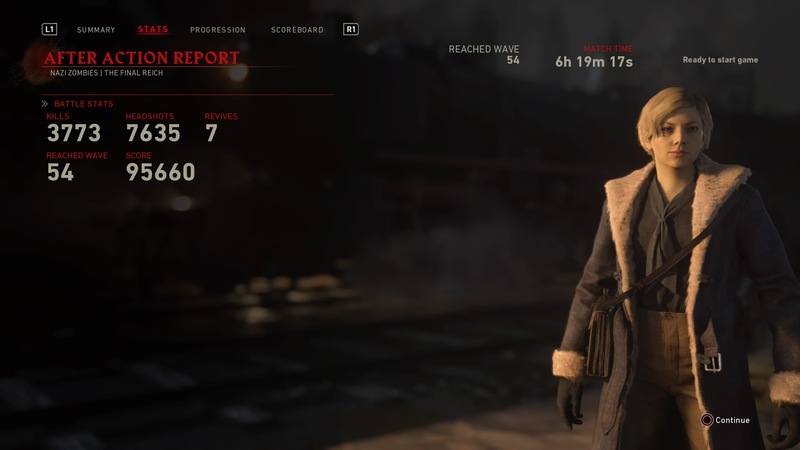 Post your highest rounds in The Final Reich here and share your tips and strategies to help others out! 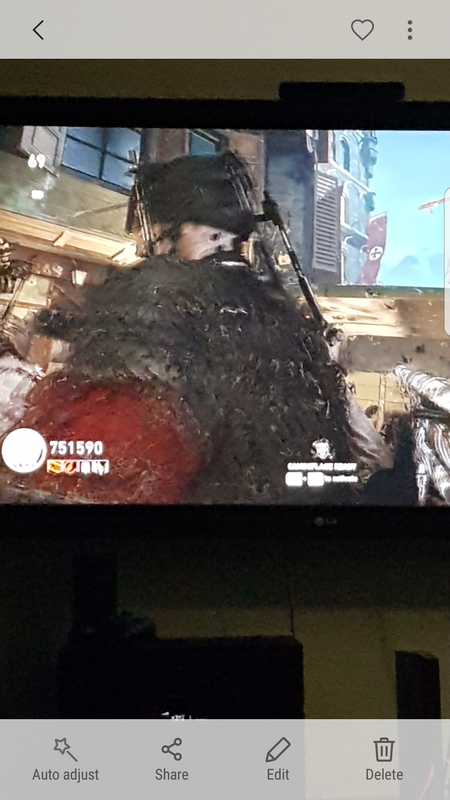 Highest round is by myself and my mate. 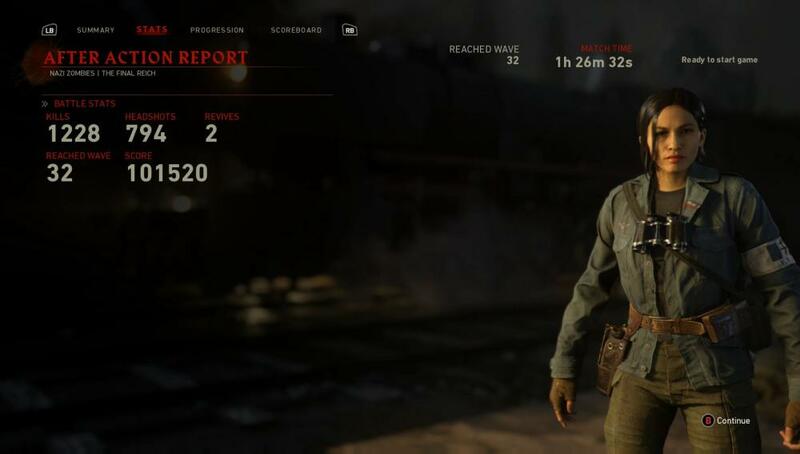 We reached round 52 and killed ourselves. I have only gotten to 22 so far, but that was figuring things out, not just papping and training. Is the pap room the best place to train solo? Crashed on round 63 solo Here's a bit of footage from 58-60, I liked these few rounds as it shows everything I do in Brenner rounds and the boss rounds also. I'm going for my own record as well Attempting 100 at some point. 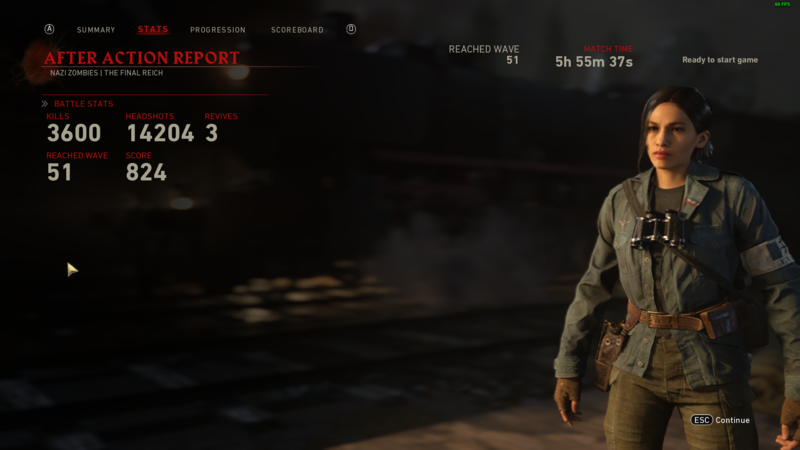 Got to round 51 solo, suicided due to wanting to go to bed cause of school. Did casual EE, strategized by looping the map in the same path you would go when the roads are blocked while fighting the boss. 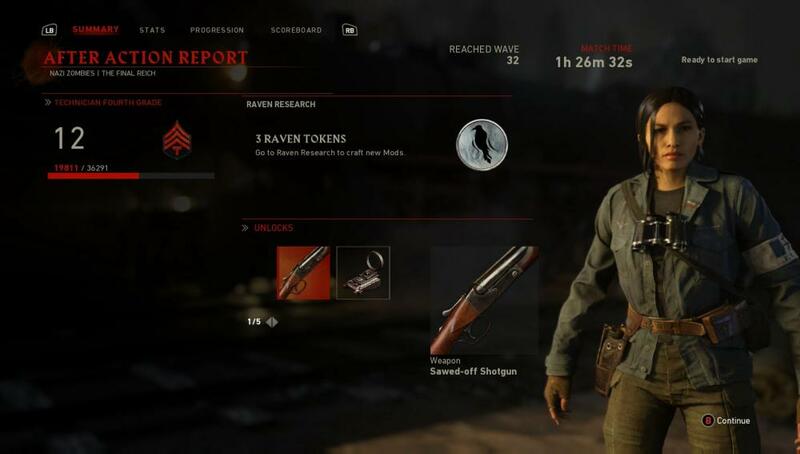 Relied on combat shotgun PaP'd, type 100 PaP'd wall buys for ammo while running around map, also had The Classic PPsH PaP'd as well as sort of a fun/backup gun if I wanted to make a trip down to PaP for more ammo. Perks I ran with were quick revive, speed cola, double tap and stamin up (WW2 equivalents, don't feel like typing in german). I'm a casual player and don't really have any friends on xbox playing, would like to play with some of you guys, gamertag is DELAbeWARE. With 3 randoms last night, 1 with a mic, 1 who was pretty good and luckily knew the casual EE steps. Other dropped out of game around round 20, him and I went on and nearly killed the boss but died out at round 26 or so.